DO YOUR OWN PROJECT ! 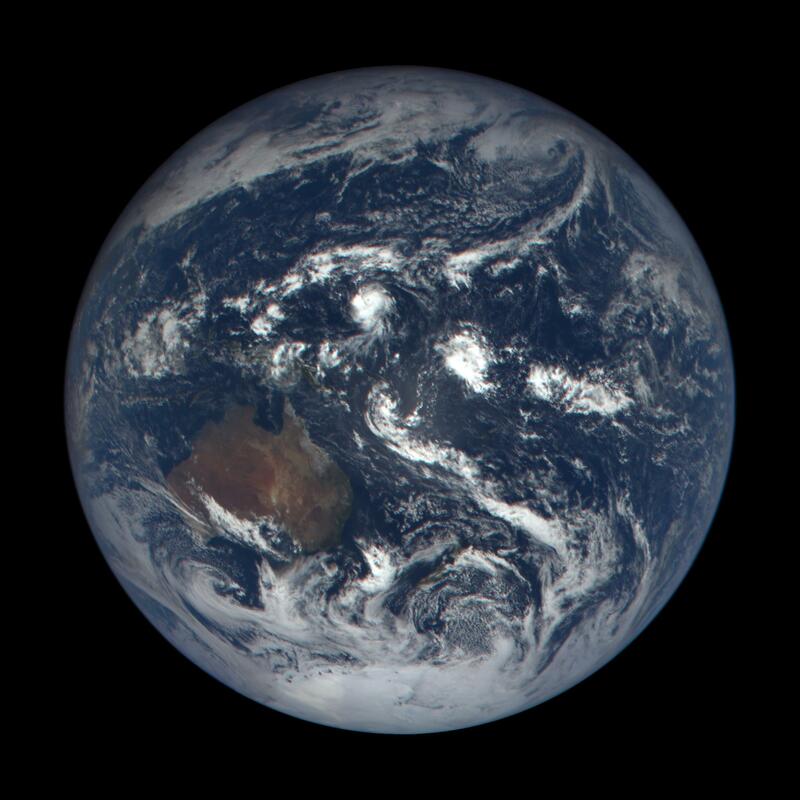 The astronauts of Apollo 17 did not know what the Blue Marble image would trigger. We don’t know neither. The Blueturn images are yours, their destinity is yours. 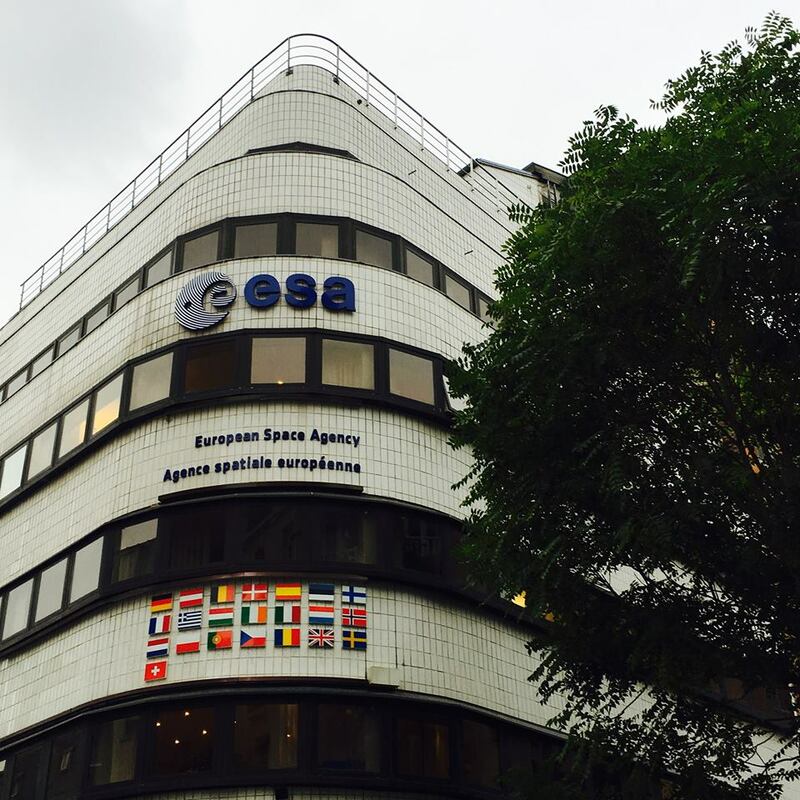 We provide the basic materials that can enable projects of new kind fostering planetary awareness. In particular, we believe that educational, artistic and meditation projects are key to maximize the reach of the Whole Earth experience. If you want to do a project drop us a line and send us some pictures of your events ! Since Blueturn launch on June 12th 2016, the following projects have already taken place. This is the most important aspect of the Blueturn project. 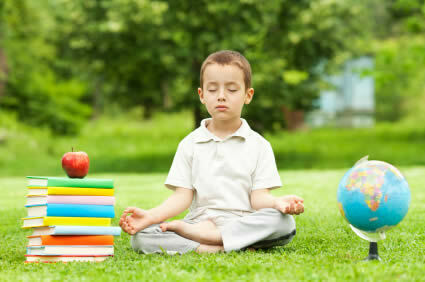 Kids are particulary receptive to the images of the rotating Whole Earth. 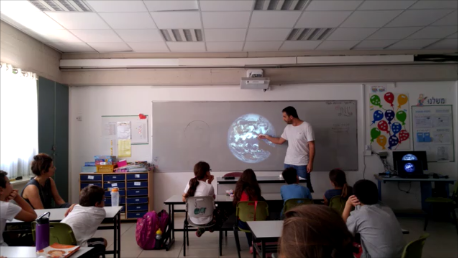 This coming generation is key to build a new mindset of Earth stewardship and Blueturn may help in making them fully aware of the beauty and fragility of our planet. 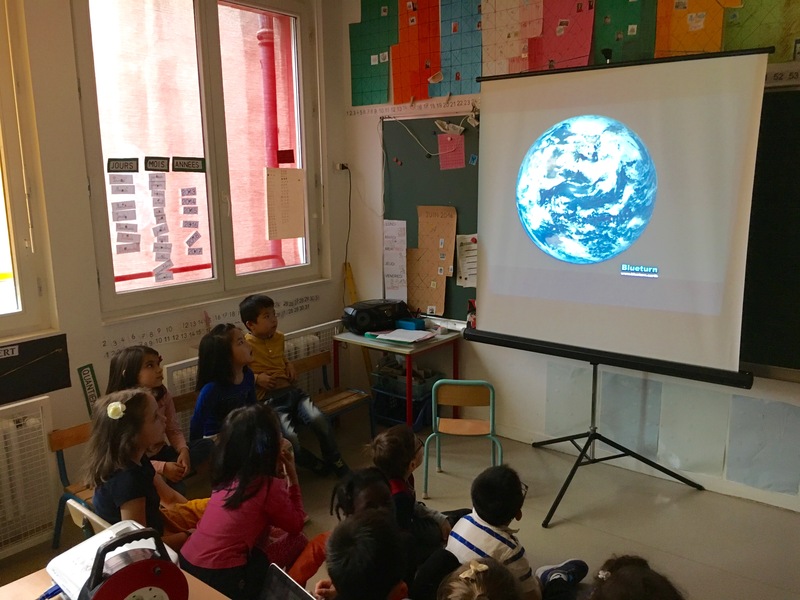 Blueturn has already been presented in different schools. 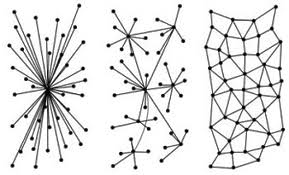 Please find below some online some Powerpoint presentations that you can use. Explanation materials that can help teachers or parents preparing their sessions will follow soon. 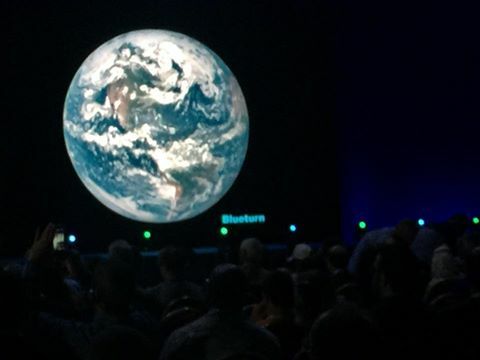 These slides that can be used as a base to create your own Blueturn presentation. Please refer to the TEDx video above for the content. A tour of all the solar system planets (including dwarf planet Pluton). Ideal for kids (from 5 to 12) to appreciate Earth hospitality. School presentation : "Draw me the Earth"
These slides are based on the TEDx presentation of Blueturn. They are available in hebrew. 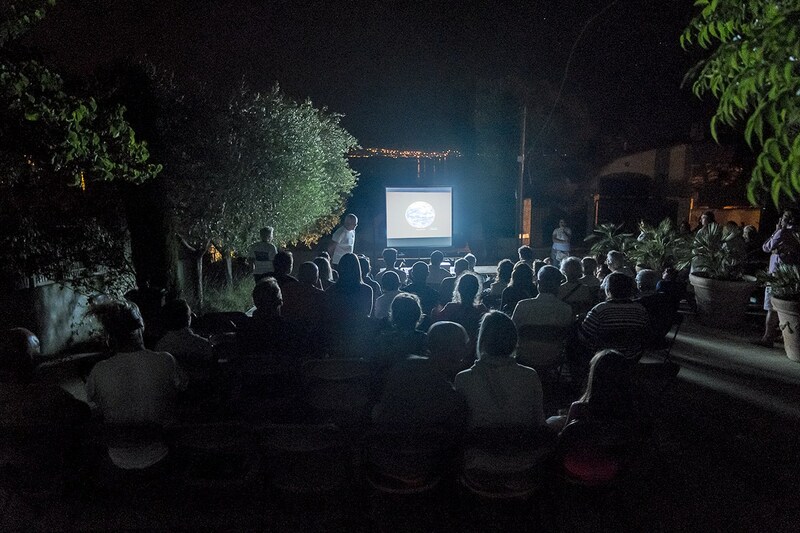 Outdoor Blueturn presentation of the real Earth in motion organized in Sanary, South of France, during “Stars Nights” (Nuits des Étoiles) on August 5th, 6th and 7th, 2016. 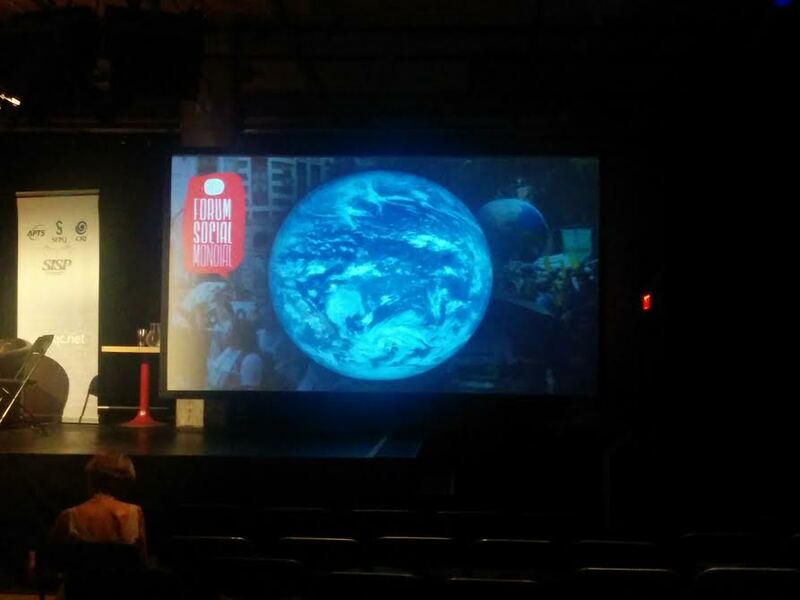 Thanks to Georges Houy for the organization of this event and the Blueturn presentation. Over 300 persons have seen this show. These images are yours, do your own show ! The real novelty of Blueturn videos is the discovery of the beauty of our living planet. 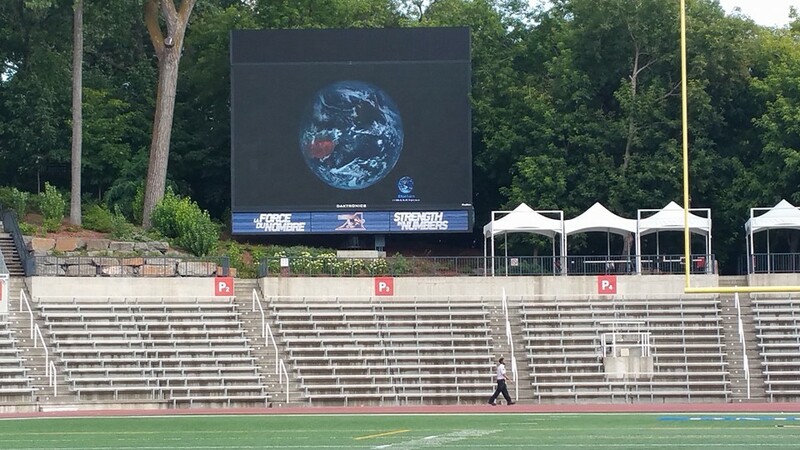 In order to magnify the emotional impact of these images, it is key to embed their display into an “experience” (this is why Blueturn is called “The Whole Earth experience”). 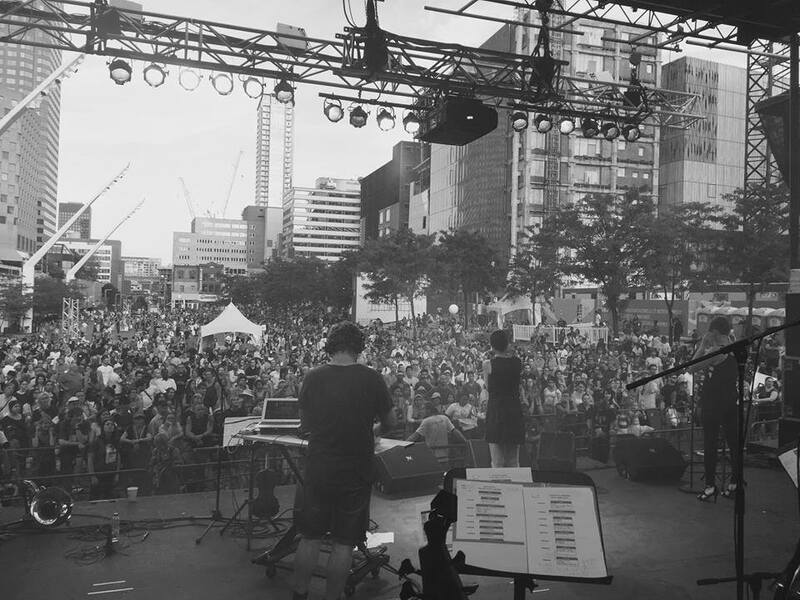 Music for example is an excellent way to put the audience into an oniric state. 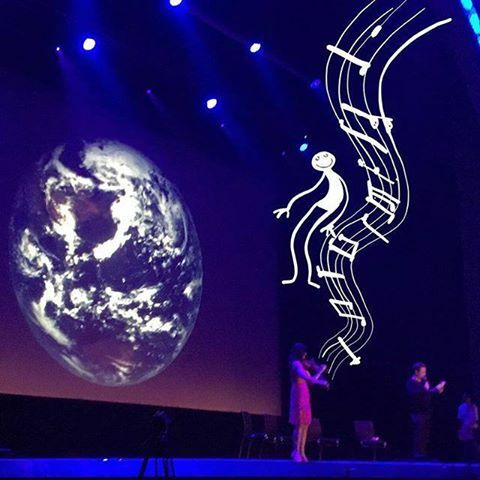 All kind of musics can work : classical, jazz, electro, sacred music, whales song… But Blueturn images could also be integrated into more multi-disciplinary shows like DJ set, poetry, fairy tale, theater, opera… We are very keen to see the kind of artistic performance that you will imagine with Blueturn. 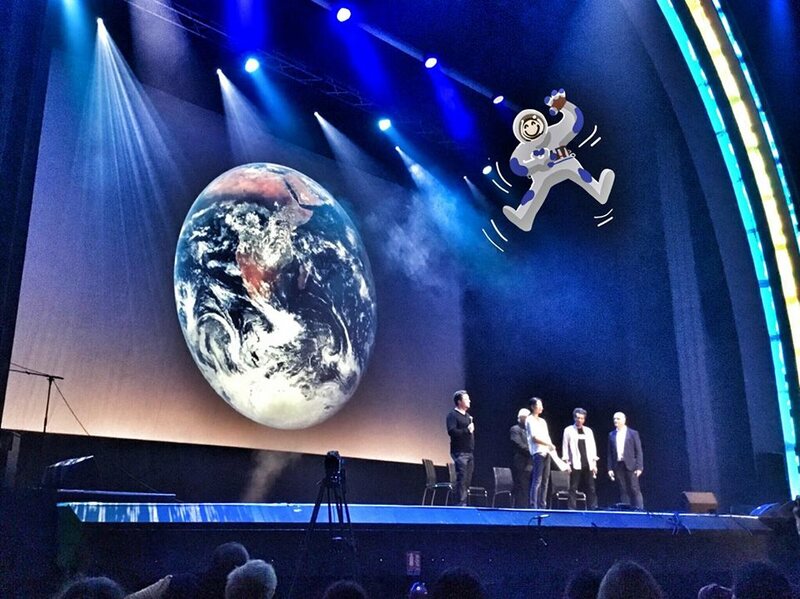 Below you can see the official presentation of Blueturn on the stage of Grand Rex (one of the biggest theater in France). 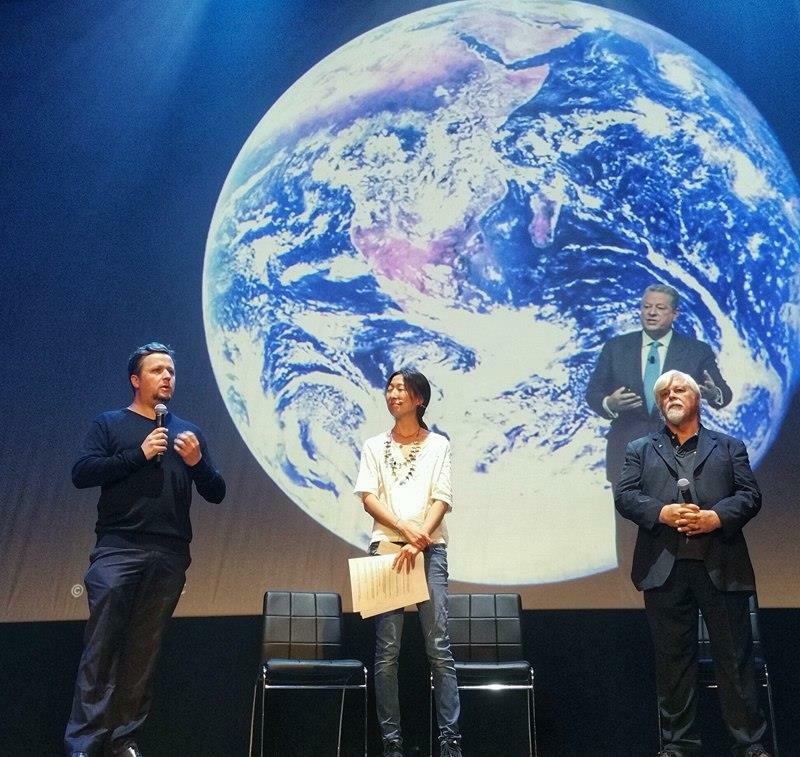 We were honored to be accompanied by Paul Watson (founder of Sea Shepherd), Leina Sato (apneist and poet who has a very deep connection with dolphins), violonist Virginie Robillard. Famous illustrator Yacine Aït-Kaci offered us marvelous drawings with his famous character Elyx. Meditation is certainly the key set of techniques to maximize the impact of these images and really make us feel our relationship with the Earth. 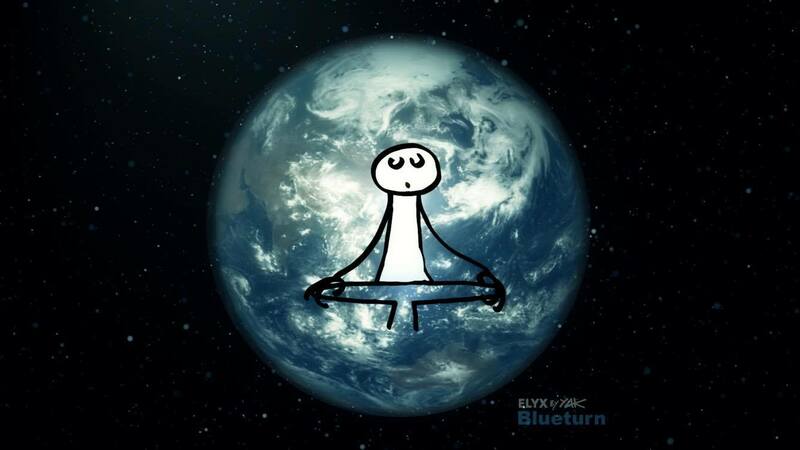 The first yoga course based on Blueturn videos was organized in July in Paris by GET YOGi. Thanks to Claire Gauthier for this initiative. 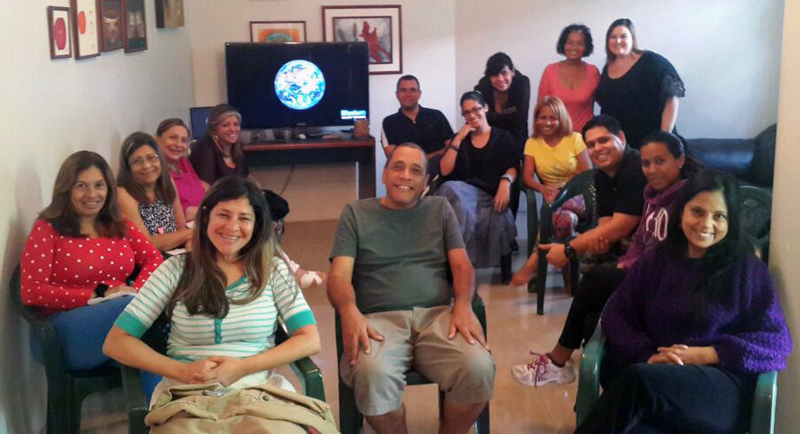 We hope that many others meditation course over the world will follow. 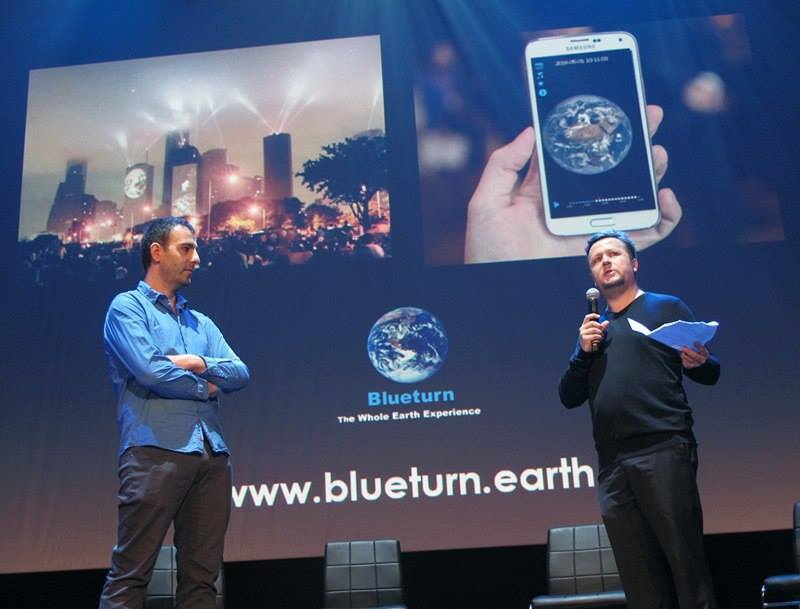 Blueturn images can also be used as a source of inspiration in local or global events. 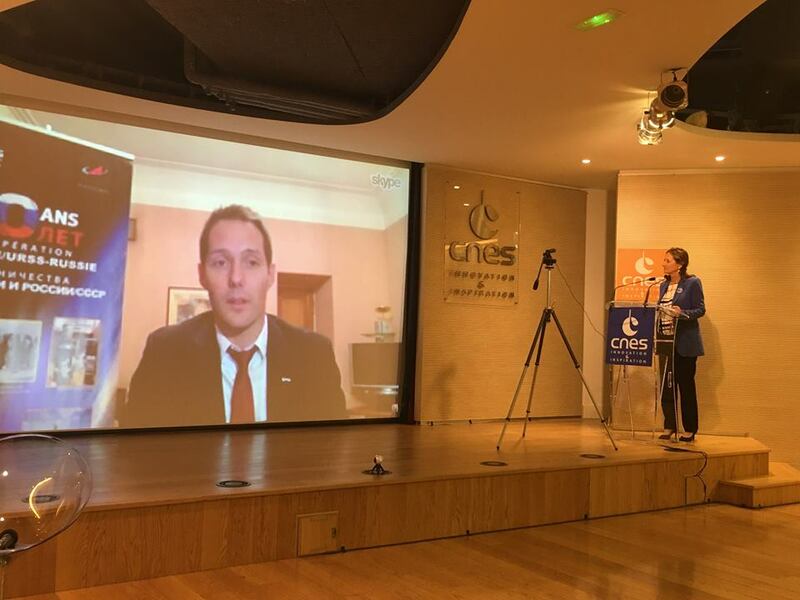 On June 24th, 2016, Blueturn was presented at the opening of Congrès du Futur in Paris (“Future Summit”). 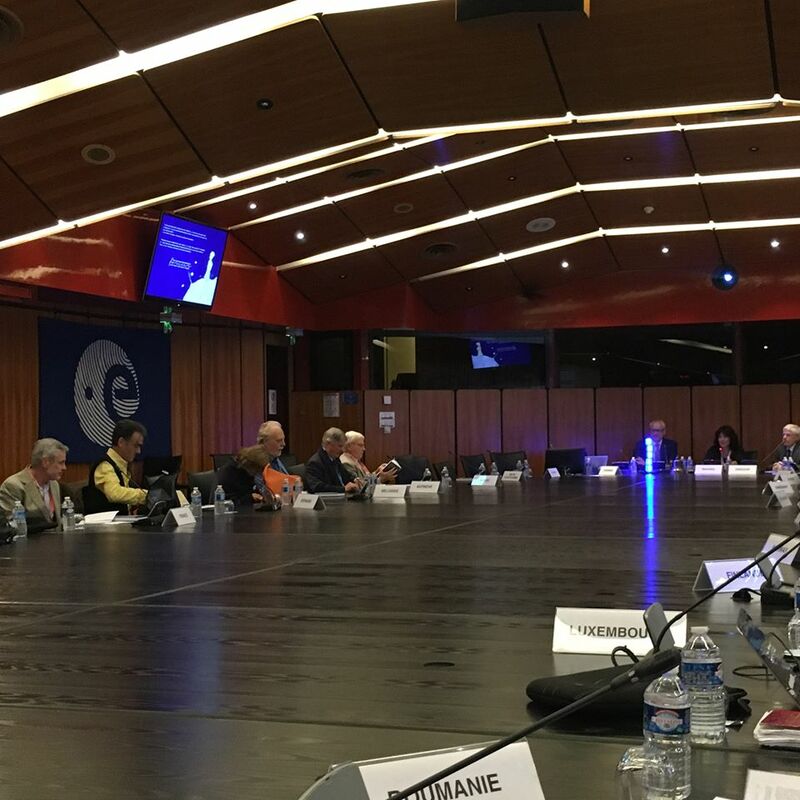 Thanks to all the team of Institut des Futurs Souhaitables for this initiative. 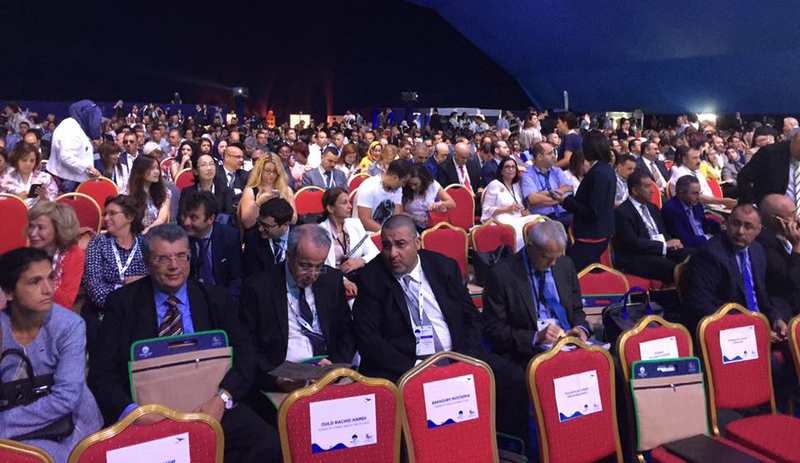 On July 18th, 2016, Blueturn was presented at the opening of the MEDCOP22 climate conference in Tanger, Morocco. 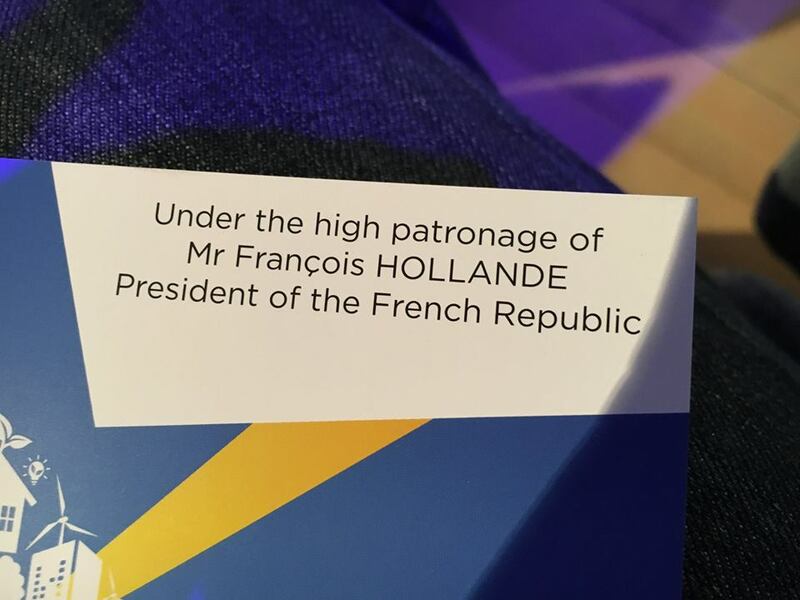 Thanks to Gilles Berhault for this initiative. 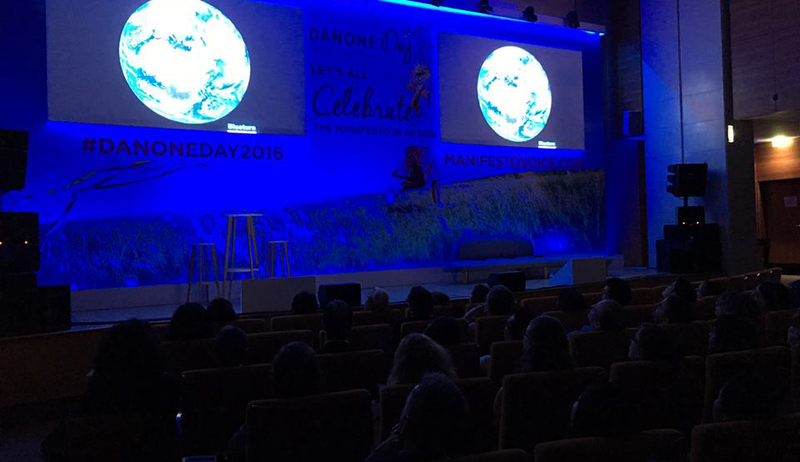 On June 29th, 2016, Blueturn was presented at the opening of the “Danone Day”, worldwide inspiration day for all the Danone Staff (100 000+). Thanks to Olivier Maurel for this initiative. 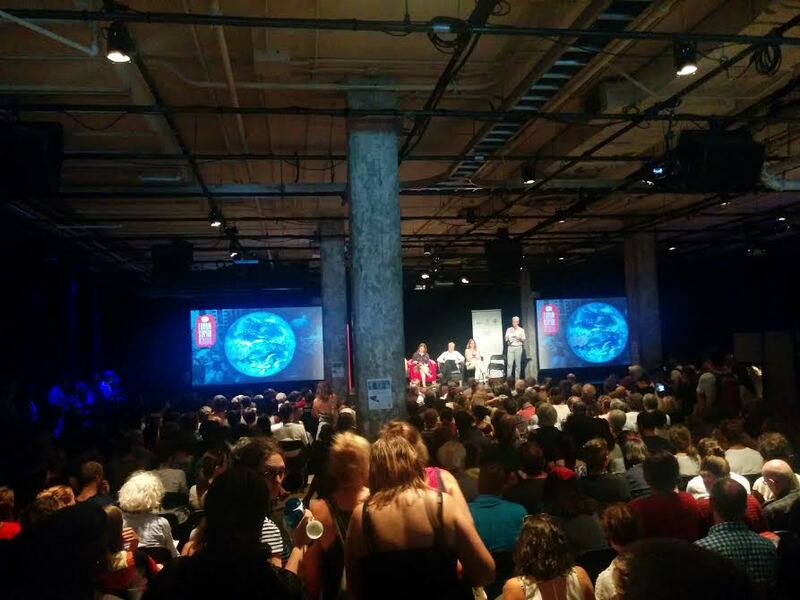 Blueturn was a partner of the World Social Forum that took place in Montreal between Aug 9th and August 14th, 2016. 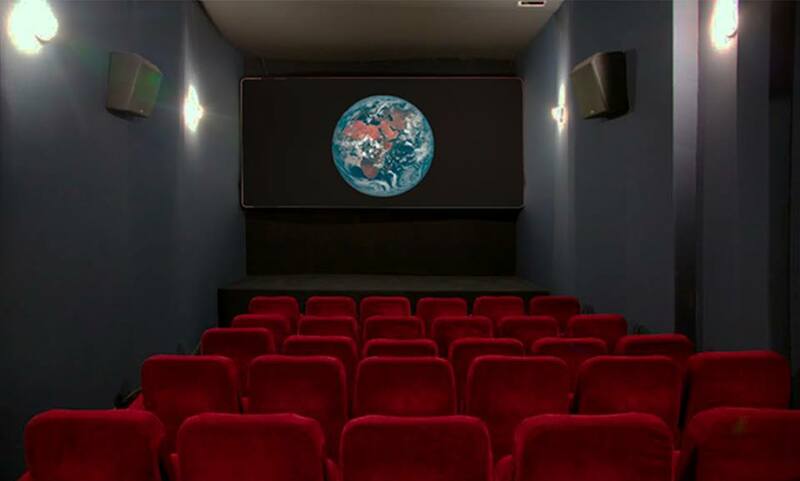 Our videos were shown in all major conferences and events. 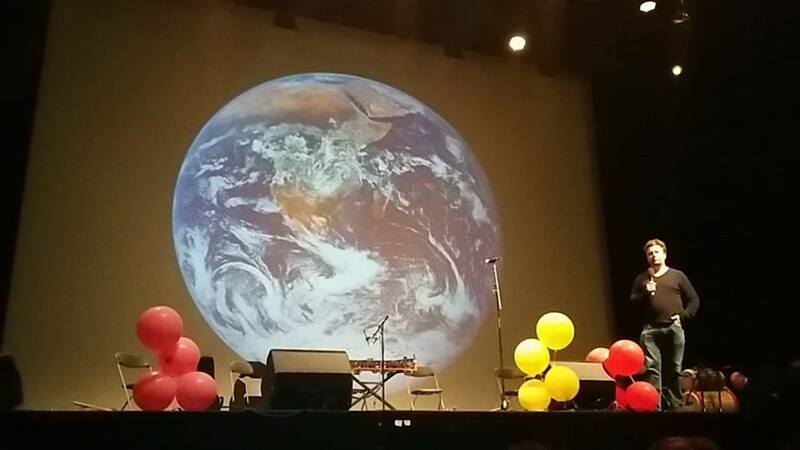 For the first time, this forum was organized in the Northern hemisphere and we prepared a special video with the Earth “upside down” to remind us that other worldviews are possible. Thanks to Dominique Bel for this beautiful idea and the introduction to the WSF organizers ! 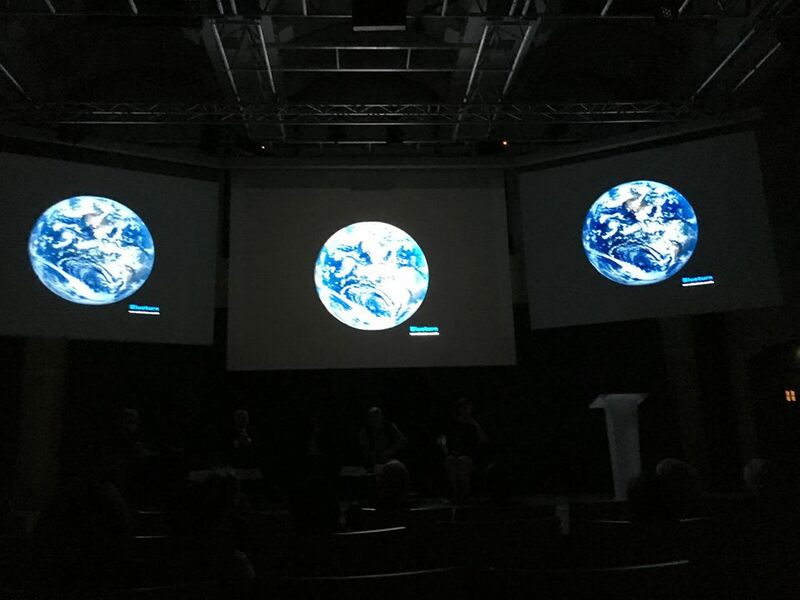 On September 5th, 2016, Blueturn made the opening of the “Convergences World Forum” held in Paris (http://www.convergences.org). Gathering this year 7,000 world leaders, it aims at promoting the Sustainable Development Goals and the development of a world “Zero Exclusion, Zero Carbon, Zero Poverty.” Anne Hidalgo, Mayor of Paris and head of C40 (network of the world’s megacities committed to addressing climate change), seemed mesmerized by the images. Thank you Flora Clodic for making this possible. 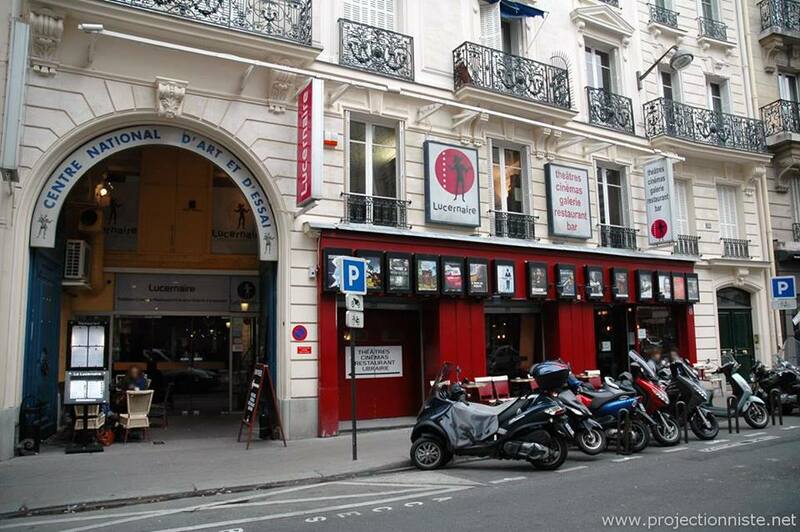 On September 27th, 2016, the first movie/meditation screening experience was organized in one of the most famous and engaged movie theater in Paris : Le Lucernaire. The room was completely full (54 people came for this first session ! ), the emotion and silence were deep. Thanks to Claire from GET YOGi : yoga en ligne for having created this “Blue meditation” program. 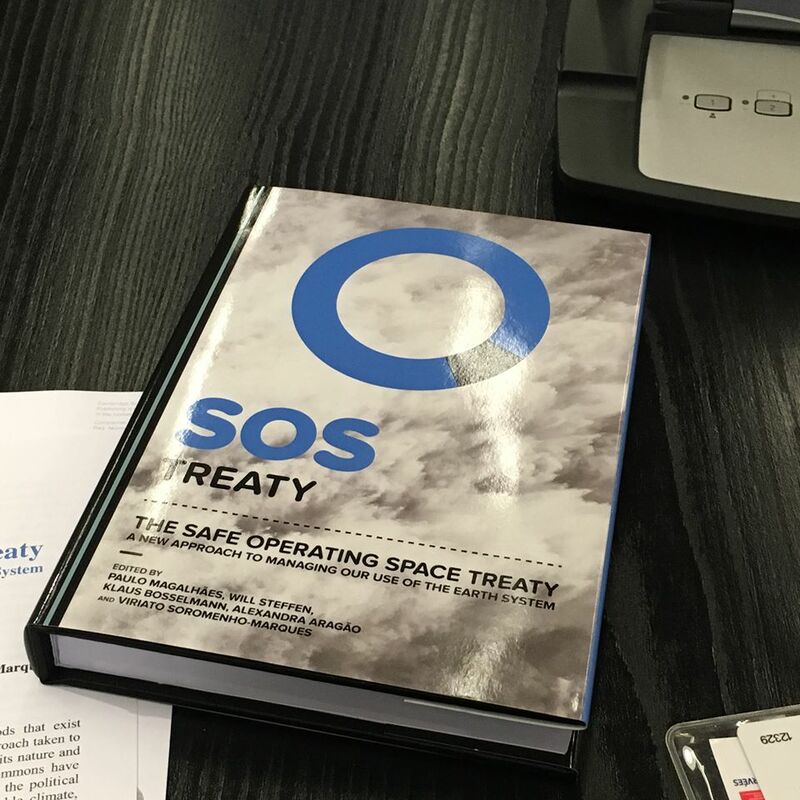 On October 7th, 2016, Blueturn was presented at the headquarter of ESA (European Space Agency) in Paris along with the launch of the SOS treaty book, aiming a creating a legal framework for our planet. 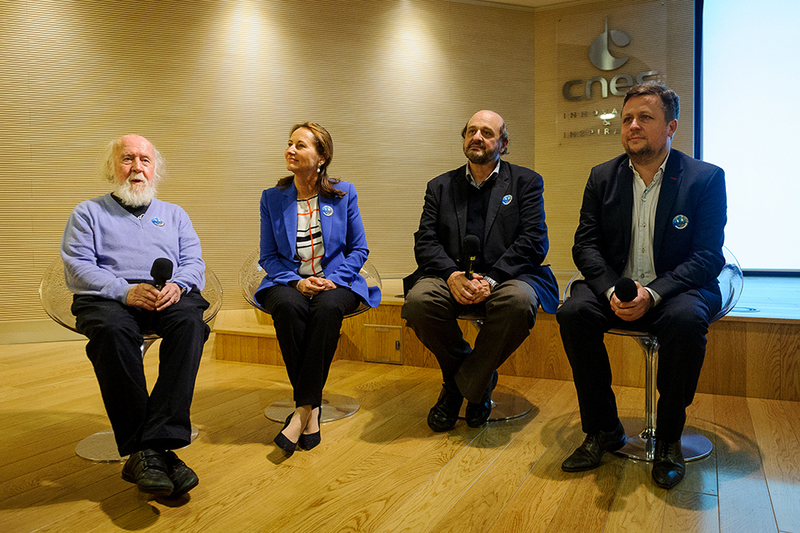 On October 26th, 2016, we were invited by the French Minister Of Energy & Environment Ségolène Royal at CNES (French Spatial Agency) along with Famous astronomer Hubert Reeves and climatologist Hervé Le Treut to discuss live with Thomas Pesquet in Baikonour. 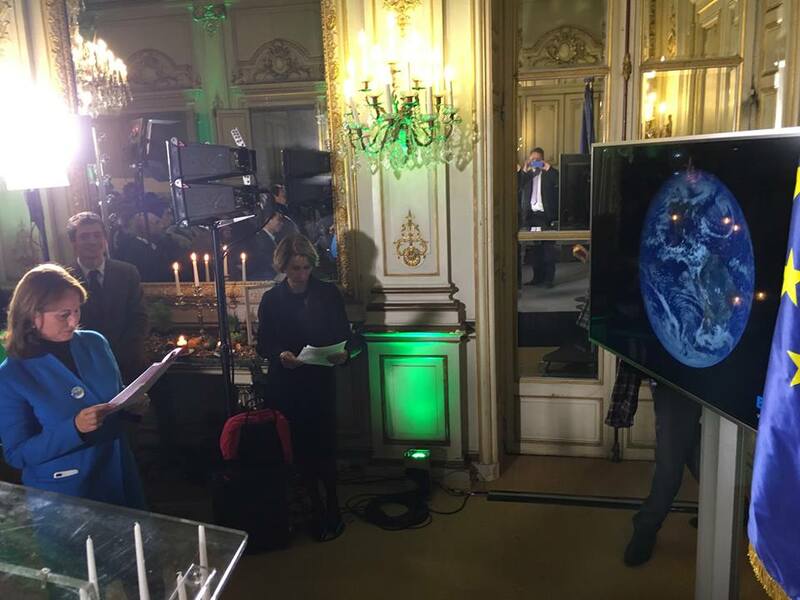 He will fly to the International Space Station mid November taking with him in orbit the Paris Climate Agreement signed last year during COP21. 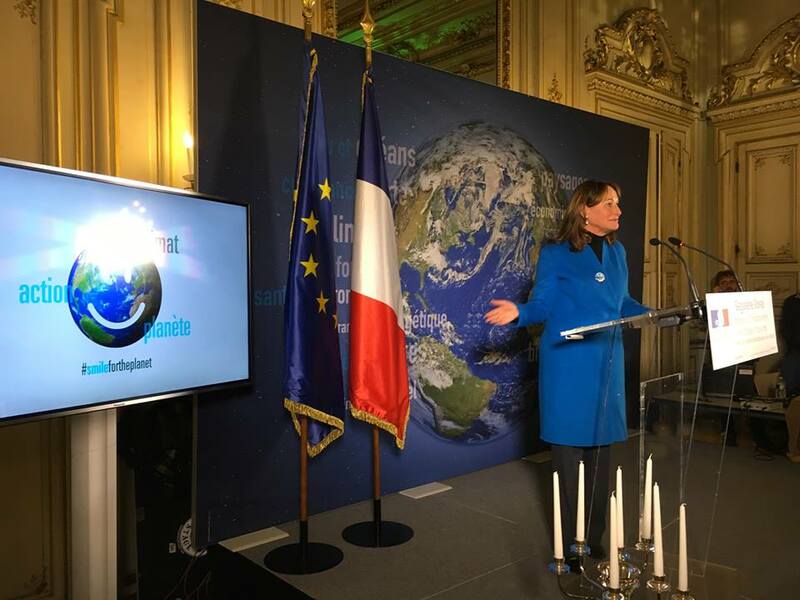 On November 3rd, 2016, we were invited by Ségolène Royal (French Minister of Environment & Energy and also secretary of the COP21 conference) to present Blueturn at the official celebration of the Paris Climate Agreement given at the French Ministry of Environment.